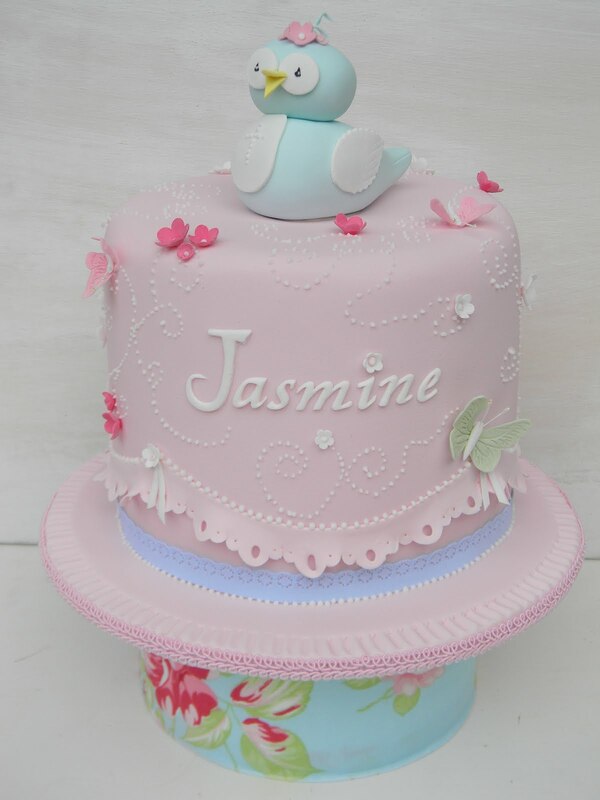 So what is more perfect than a gorgeous spring Christening cake like the one I've just completed. Oh how I loved making this cake and cupcake set, this was so much fun. 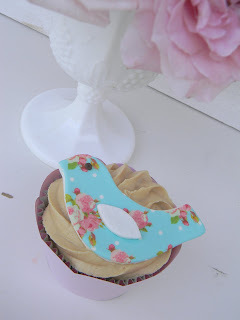 The theme is birds (well derrr lol) with a vintage, whimsical and Spring touch. I am so happy how this cake set turned out, it is exactly how I imagined it in my head. Here is one of the bird fondant toppers I made, a bit different from the usual ones I made as I thought I needed to update my collection of designs. LOVE this colour! Ah, the tweety cake topper. It's a mix of designs I've made in the past, part "A little Sweetness", and part "Debbie Brown" , isn't it cute? 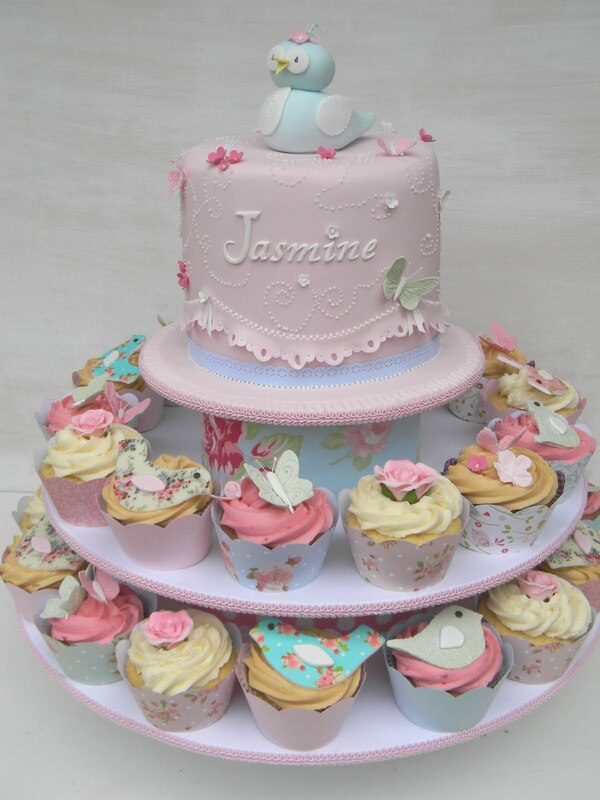 The top tier is a 6' inch x 3 white mudcakes stacked, covered in white choc ganache and covered in pale pink fondant. The design is my own, the brief was dainty, bespoke, delicate with flowers and butteflies. 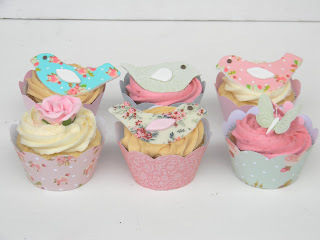 I used Darla Rose fabric on the cupcake tower supports as the Christening favours were made from the same type of fabric. A mix of cupcake toppers, some birds are hand painted, some used custom transfer sheets, and some were embossed. I also made some roses, blossoms and delicate butterflies. Cupcakes were lemon with lemon zest buttercream, raspberry with raspberry compote frosting and caramel with caramel-toffee buttercream. Yummmm!!!!!! Oh gorgeous as usual Leonie!! I love the pink frill lace on the cake! Goodness, these are just so darling! Love how you incorporated the fabric prints! I love the pink frill lace on the cake!!! !Goodness, these are just so darling! Love how you incorporated the fabric prints! !! G club Online gambling sites that choose to gamble as anyone would like. Just connect to the internet and have fun and gamble every day. Make more money. Play all types of games. Have fun making the bet you choose. Get more stuff. This is a great way to earn good money. In addition, it is interesting. Modifying Emotional Behavior From distress to stress disorder, eating change, body, mind, balance, it is not less important. People of different ages have different stress. Eat food to suit your age is very important. Suggest food that is eaten good mood and help relieve tension.